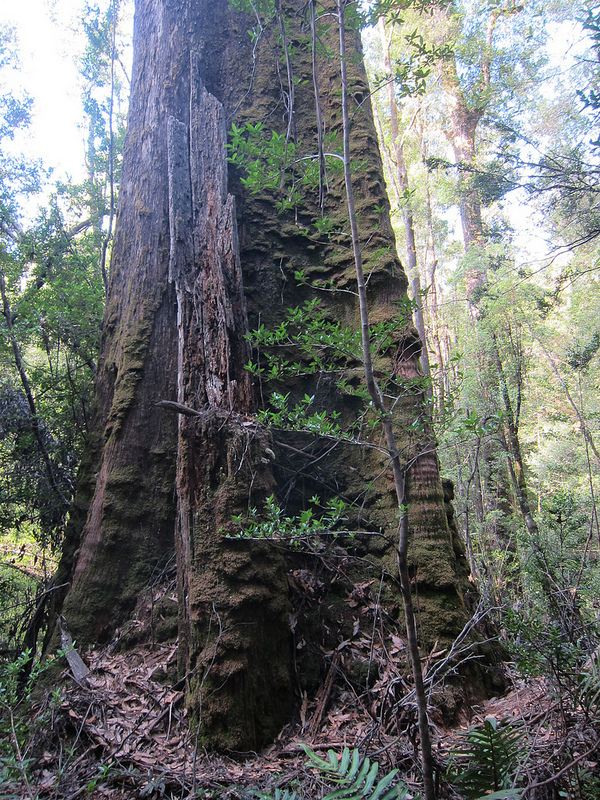 This proposed 33 hectare logging coupe is located in the Rabalga Track area of north-west Tasmania. This forest is part of the core area of 430,000 hectares that was promised protection as part of the Intergovernmental Agreement. Logging and roading operations are scheduled in this spectacular tract of high conservation value forest for this year. This mixed forest features tall eucalyptus, rainforest species and amazing stands of old growth celery top pine. The area is listed by the independent verification reports as being significant tall eucalypt forest ecosystems (i). The protection of this area has been recommended for protection as it would make a significant contribution to potential habitat for many fauna species. The area that this coupe is situated in is important threatened species habitat (ii). For example, it is habitat for the azure kingfisher (Ceyx azureus diemenensis) (iii). This species is listed as endangered in both the federal Environment Protection and Biodiversity Conservation Act and the Tasmanian Threatened Species Act: “the total number of mature individuals is low and its geographic distribution is precarious for its survival given the nature of ongoing threats” (iv). Habitat clearing is considered to be one of the key threats (v). The distribution of the azure kingfisher mostly occurs in the north-west of the state, a reflection of the higher rainfall in this area and the greater density of river systems (vi). CLICK HERE to take action now for high conservation value forests across Tasmania. (iv) Commonwealth Conservation Advice on Ceyx azureus diemenensis (Tasmanian Azure Kingfisher) (Threatened Species Scientific Committee (TSSC), 2010al) [Conservation Advice]. P1. Posted on July 25, 2012, in A Forest A Day. Bookmark the permalink. Leave a comment.